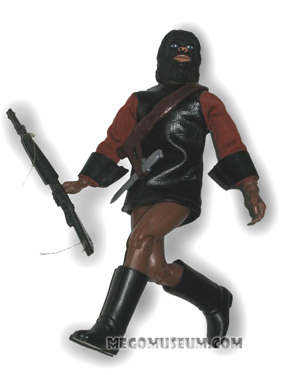 To be complete, Mego General Ursus needs the following: Brown pants, either the Soldier Ape top (AND gloves) OR with attached cuffs, smooth general boots (with creased toes), general's bandolier with short sword, and m-16 rifle with string. 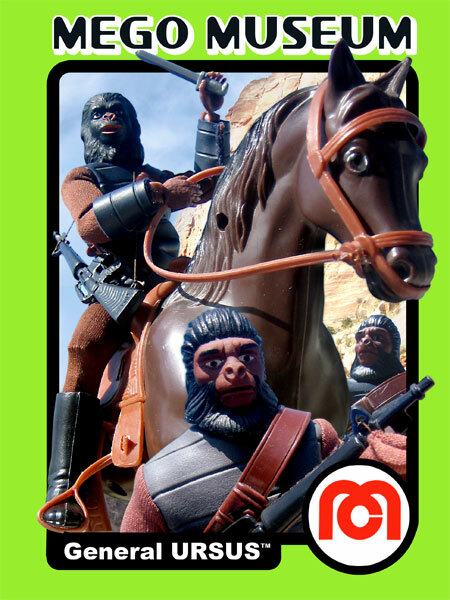 Like all of the figures in Mego's second POTA wave, the General is found on both Type 1 (metal joint) and Type 2 (plastic joint) bodies. 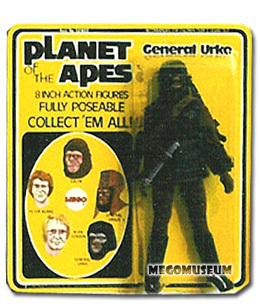 For some unknown reason related to copyright or name changes during the production of the television show, Mego, changed his name and released him as General Urko. 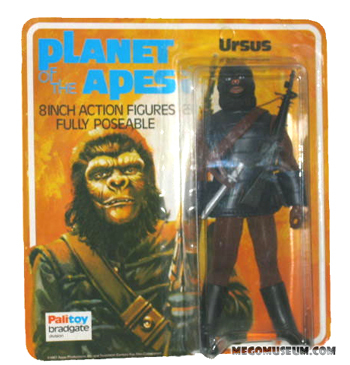 It is interesting to note that in the television commercial announcing the up coming second series of characters he is introduced as "URKO the vicious Soldier Ape". 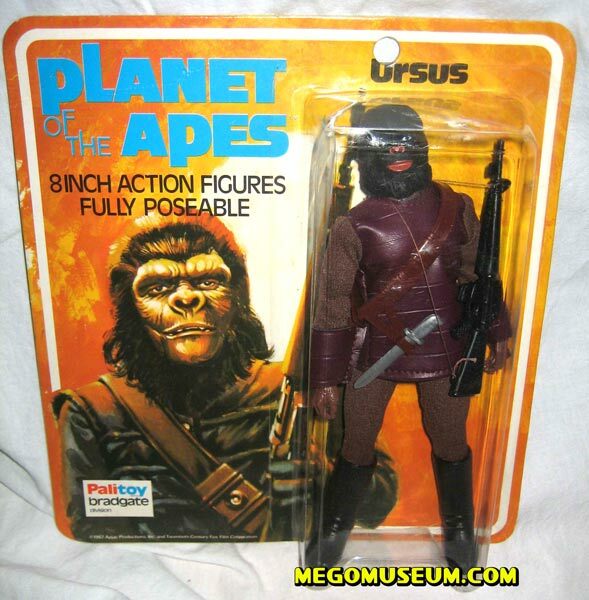 Also interesting to note is that, Mark Lenard, who played General Urko on the TV series, once said that when he auditioned for the role, the character was named General Ursus. 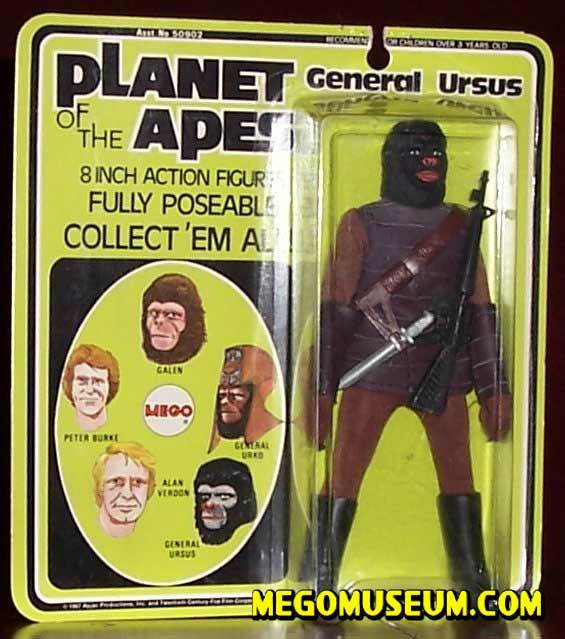 This beautiful Palitoy UK Mego Release of General Ursus is courtesy of Mike J. Notice that his outfit is black. 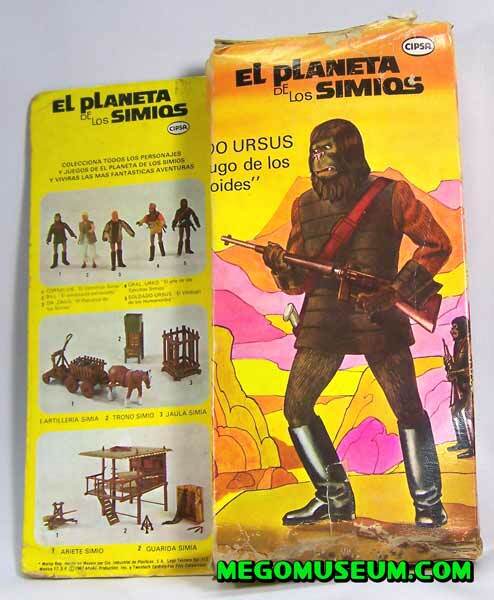 Mego Ursus in his Mexican (Cipsa) outfit, the sleeves for Ursus have been known to come in both reddish brown and green! 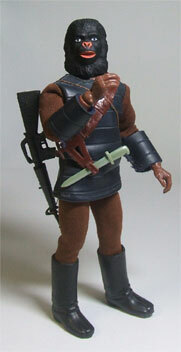 (pic courtesy of Mike J. 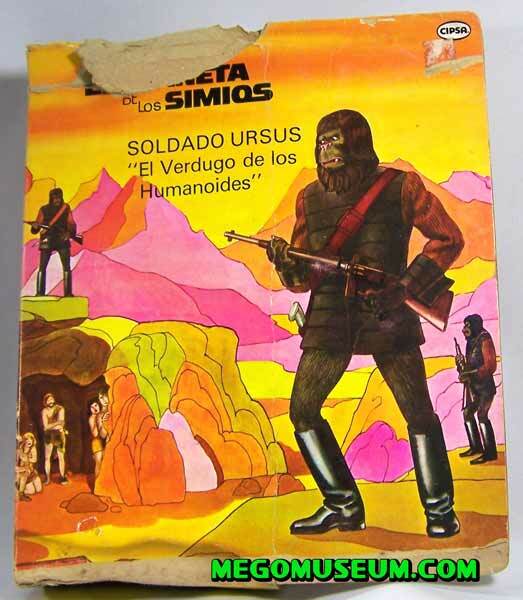 Here is Soldier Ursus from Mexico, who is intent on finding Humans and his pants: That joke never gets old! 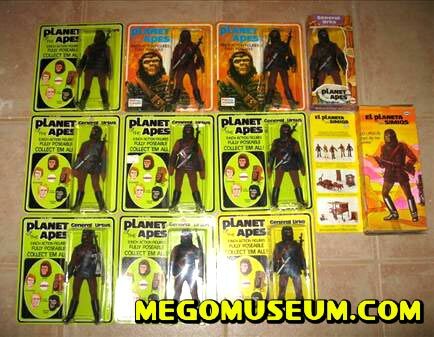 (courtesy of Brain) What's interesting is the term "Humanoids" on the packaging, which is what they used on the animated series.